Rob takes care of Bob’s station during the nighttime hours. It’s good to have somebody around who really enjoys being on-the-air and, at the same time, doesn’t mind running the sweeper around the studio. Rob Allen has friends all over Pittsburgh, he’s the guy who walks into a local bar or event and everyone knows his name. 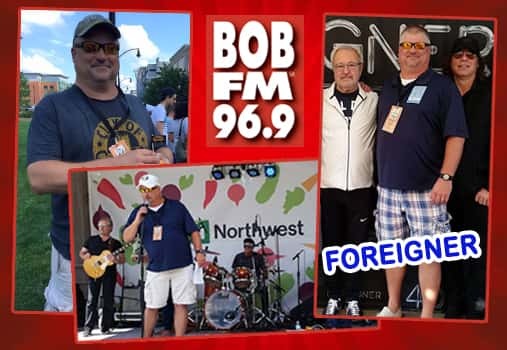 As long as BOB FM has been on the air, Rob Allen has owned the night-shift. When he’s not behind the microphone, he lends his time as a volunteer firefighter (Station #187/Ingomar) or tries to pick up a round of golf, when he can, with his buddies. He has a healthy obsession with Pittsburgh Pirates baseball, and enjoys going to games with his wife and 9 year-old daughter, Abby. He’s just a laid back kind of guy that everyone likes, plus he can get great seats to any concert!